Business card slot options shown on a product’s PDF template. Each option is also displayed separately on its own page in the PDF. 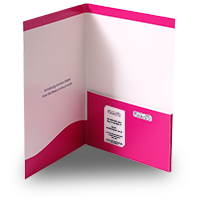 Business card slots are small diagonal slits cut into the folder pocket or flap, enabling you to present business cards along with your inserts. Which products are they available on? 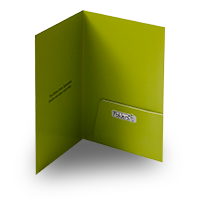 Business card slots are an available option on most of our folder products. Absolutely! 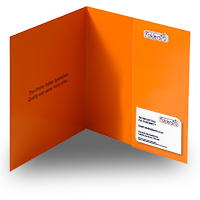 There is no additional charge for business card slots, unless you require a size or position not indicated on the PDF template (in which case we would have to charge for making a new cutting die). What size business cards will they fit? 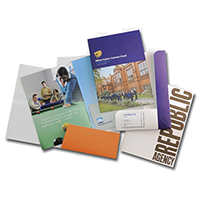 Most products can accommodate 85x55mm landscape business cards, being the most common size. 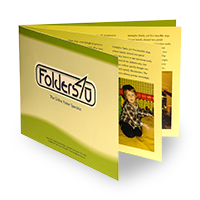 Some can also accommodate other sizes, such as 90x50mm, and some also have portrait format options. 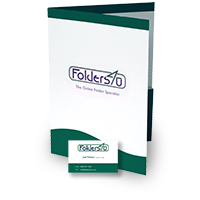 The sizes are shown on the product's downloadable PDF template, and summarised under the Specification tab on the product page. You can select the required business card slots option in the drop-down menu above the price table. Where there is a choice of several different positions or card sizes, these are designated A, B, C etc. 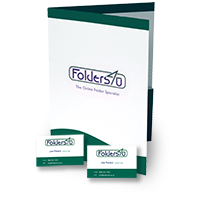 The sizes and positions are indicated in the product's downloadable PDF template, and summarised in the Specification table on the product page.